We make life easier for visitors, members and advertisers alike. SmarterTrails provides you with a top-notch website for attracting visitors, a platform for keeping everyone connected, and the tools to manage every aspect of your organization. There are many content management systems and website builders out there to choose from but we have created a collection of elements specifically for snowmobile clubs. These elements allow you to easily publish the information your visitors need while keeping the site clean and the data organized with no "website guy" needed! Give them the information they want and they will come! Let visitors easily see current trail conditions, snowmobile friendly places to eat, sites to park, and locations to sleep. Let your members access your latest news, current events, and meeting minutes. Besides an attractive and easy to manage website, SmarterTrails has all the helpful tools to keep your organization running smoothly built in. Some of these tools include membership administration, online enrollment, dues collection, land owner tracking, meeting minutes records, document organization and advertiser management. Do You Manage a Snowmobile Club? SmarterTrails allows you to spend less time managing and more time on the trails! You enjoy the trails! You enjoy the thrill of the rides and the friendships! You found the club you want to see prosper and now you manage it. You didn't sign up for paperwork or spending time managing a website. You need a website that makes it easier to manage your club, get information to your members, helps you make money, and doesn't require you to know how to code. We have a smarter way for you to manage your club and get back out on the trails! Let's face it - the world is now mobile and wants information in real-time! 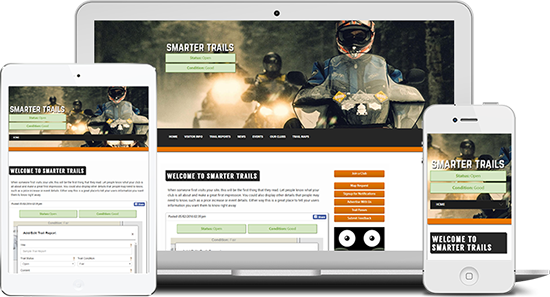 Your SmarterTrails website will become the go-to resource for your riders and guests. Make your club look good and allow snowmobilers access to your website from their smartphones! Display information like where to eat or where to stay. Administrators can make updates to the site right from their phone! With an attractive new mobile friendly site increasing your traffic, advertisers will be lining up to be featured. Local advertisers will be prominent on your site and when users search the area for places to eat or stay on the trail, guess who's going to be listed? You got it, your advertisers! With built in reporting you can show your advertisers the clicks and class they are getting from your site. 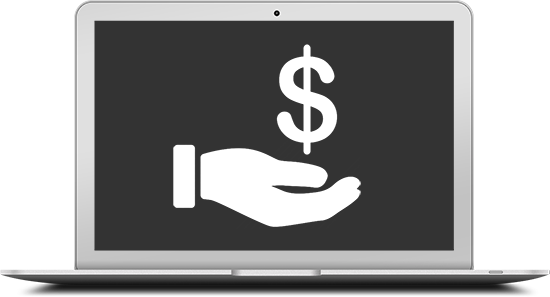 Revenue from advertising will easily surpass the cost of the site, in fact we're betting on it. Our website technology allows you to focus on what you really want to do... Ride! Tie your data in with other websites! Update local trail conditions to your site and that information can be automatically provided to other sites like TravelWisconsin.com, SnowTracks.com, the local chamber of commerce and visitor's bureau. We will be here for you every step of the way. We'll work with you to come up with a design you like and the features you need, then we move content from your old website, train your volunteers and launch your new SmarterTrails website. No hidden storage fees or limitations! All SmarterTrails websites come with unlimited space on our servers in a state of the art data center to manage your images, documents, minutes, articles, and other content for your club, members, and visitors. Your website engages your members and as a result, attracts advertisers to be featured. 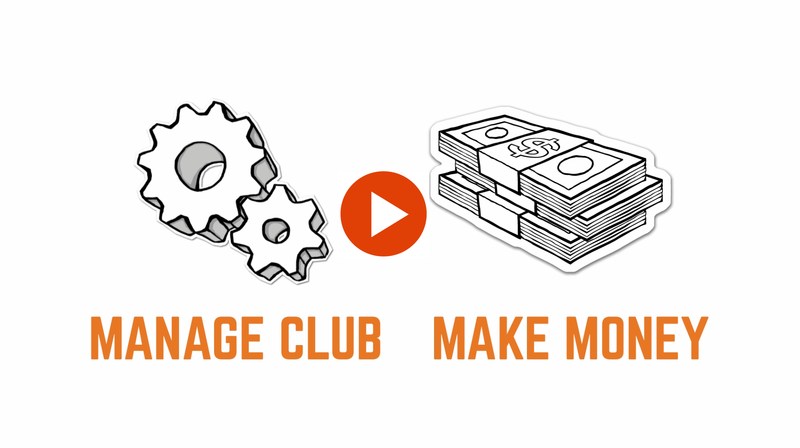 Our revenue sharing from advertisements helps your club grow its bottom line. Built in reporting shows your advertisers the ROI they are getting. Bring money to your county, save time and keep your clubs organized by having a well-designed, mobile friendly website built specifically for snowmobile organizations.